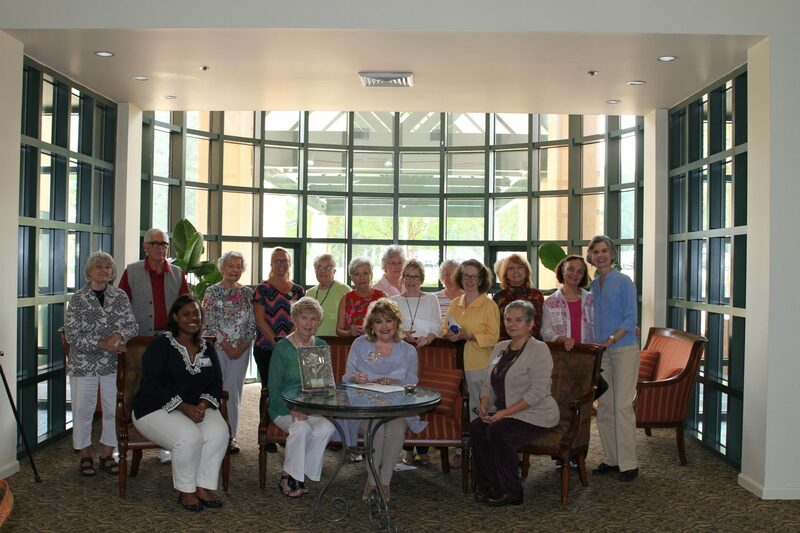 (Madison, Mississippi)—For the second year in a row, Keep Mississippi Beautiful has recognized the St. Catherine’s Village “Green Team” for its exemplary efforts in keeping Mississippi beautiful. 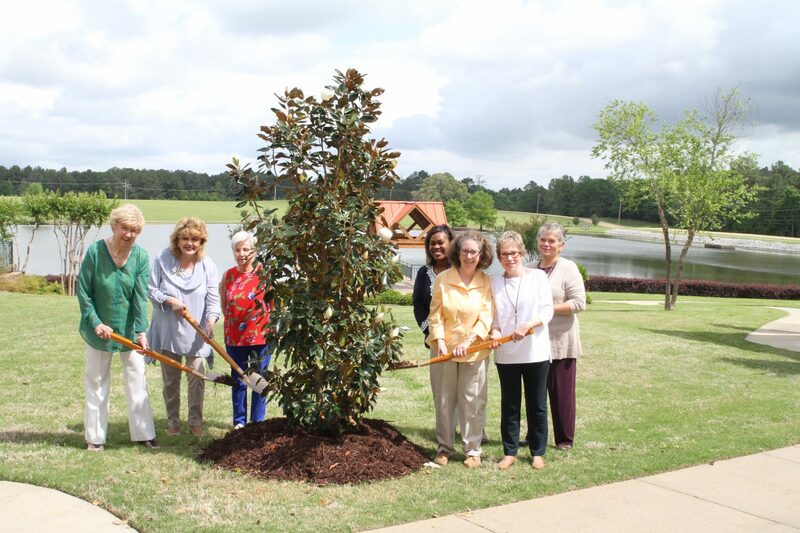 The all-inclusive life care community is celebrating with a program by the Mississippi Department of Environmental Quality, a tree planting ceremony and special proclamation from Madison, Mississippi Mayor Mary Hawkins Butler. Mayor Butler is using the event to encourage all businesses to promote environmental and climate literacy. In a written decree, she stated that it is more important than ever to act locally to defend the environmental progress that has been made. Furthermore, she is recognizing the work of the St. Catherine’s Village “Green Team” as a reminder of the constant need for environmental activism, stewardship commitments and sustainability efforts. Keep Mississippi Beautiful is dedicated to enhancing the community through recycling, cleanup and signature volunteer programs that beautify Mississippi and improve the quality of life for its citizens. The organization awards those who demonstrate outstanding leadership in the areas of litter prevention and control, recycling and water reduction, beautification, and community improvement. This year, St. Catherine’s Village received a second place Civic Organization award. Last year, it received a first place award in the non-profit category. Throughout 2016 and 2017, “Reduce-Reuse-Recycle” has been the “Green Team” theme. For almost two years, residents and employees have partnered to reduce waste, including food, plastic, aluminum, cardboard boxes, and paper. St. Catherine’s Village also has worked to reduce green house emissions through a tree planting initiative and instituted an LED lighting conversion. One of the largest undertakings has been a continuous reduction of Styrofoam products because of their inability to biodegrade. The St. Catherine’s Village “Green Team” continues to stress “Living Green, Loving Green and Thinking Green,” educating residents and staff on the importance of conserving energy by doing little things such as turning off lights in empty rooms and adjusting the thermostat to a moderate temperature. The “Green Team” is just one of many clubs and activities in which seniors living at St. Catherine’s Village can become involved. The all-inclusive life care community also offers unparalleled facilities, a caring staff, companionship, 24-hour on-duty security, protected and beautiful outdoor spaces, access to on-site resident-centered care, and a mission-focused environment that encourages residents in all levels to enjoy fullness of life, health and faith. Housing options include independent living in apartments and garden homes, assisted living in Marian Hall, memory care in Campbell Cove and Hughes Center, and skilled nursing in Siena Center. St. Catherine’s Village is the first CCRC in the state to earn accreditation by CARF-CCAC. This “commitment to excellence” seal signifies that the campus exceeds the standards established by the only international accrediting body for CCRCs. Furthermore, Campbell Cove and the Hughes Center are both licensed by the State of Mississippi as “Alzheimer’s Assisted Living” facilities. St. Catherine’s Village is a service of St. Dominic Health Services, Inc. and is sponsored by the Dominican Sisters of Springfield, Illinois, who have owned and operated the hospital since 1946. The private, gated community provides the right care at the right time for those in their retirement years. For more information, call (601) 856-0123. From left, Barbara Dorr, St. Catherine’s Village resident; Mary Hawkins Butler, Madison, Mississippi mayor; Barbara Bates, St. Catherine’s Village resident; Felichia Fields, St. Catherine’s Village assistant director; Penny Kirkpatrick, St. Catherine’s Village resident; Priscilla Fitch, St. Catherine’s Village resident; and Mary Margaret Judy, St. Catherine’s Village executive director. Sitting down from left, Felichia Fields, St. Catherine’s Village assistant director; Barbara Door, St. Catherine’s Village resident; Mary Hawkins Butler, Madison, Mississippi mayor; and Mary Margaret Judy, St. Catherine’s Village executive director. Back row from left, St. Catherine’s Village residents Chantal Batten, Frank Hines Bostwick, Patricia Jacobs; Diana Cornette, activity assistant; residents Warden Kastner, Barbara Bates, Lucy Hilton, Priscilla Fitch, Marilyn Hansen, Penny Kirkpatrick, Judy Woods; Sister June Volpe; and resident Sara Panetta.